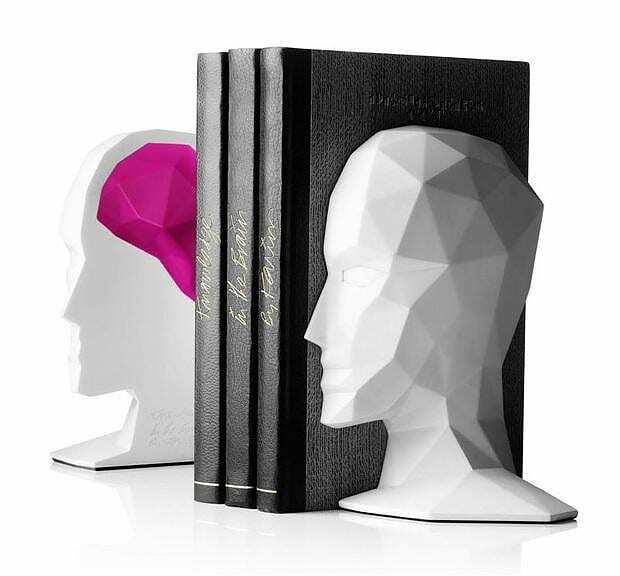 HomeBlogHome DecorKnowledge in the Brain Bookends by Karim Rashid. 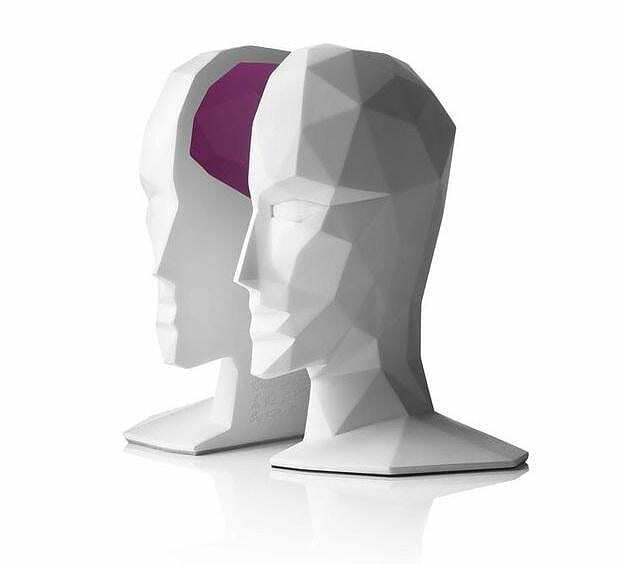 The stunning Knowledge in the Brain Bookends designed by prolific industrial designer Karim Rashid will add a touch of style to any modern home. 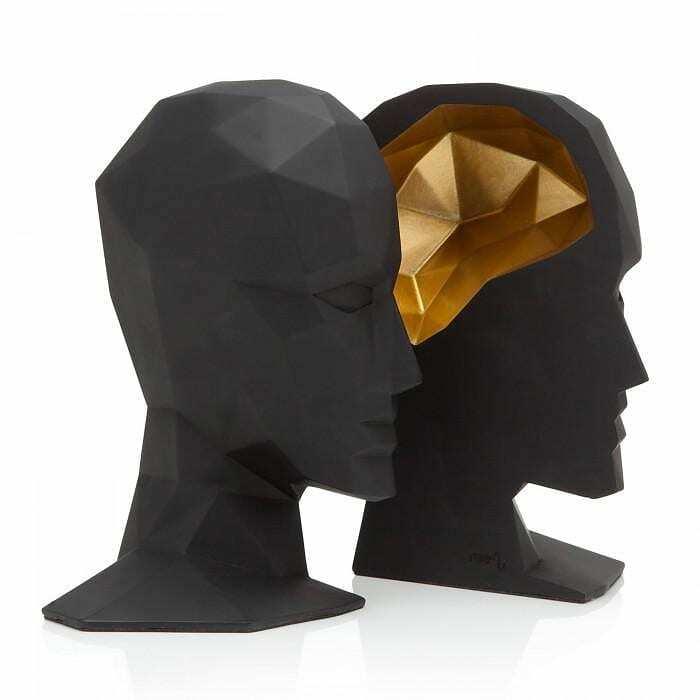 Karim Rashids creative mind is a never ending source of ideas and striking design. 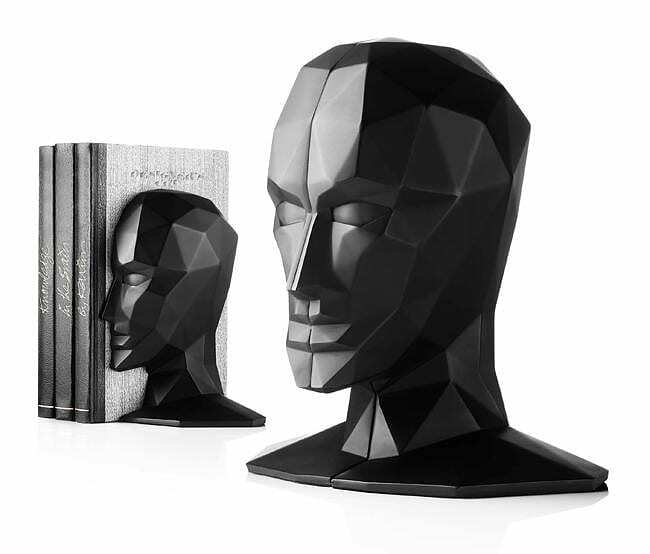 In fact his own head served as the model for these unique, contemporary bookends. 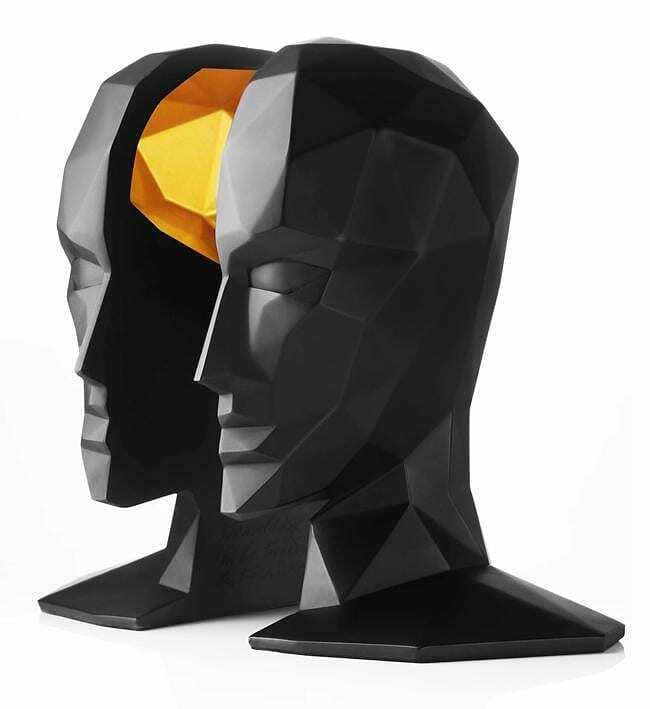 The design is a three-dimensional representation of Rashid’s head, cut in two so as to expose the laboratory where all the magic takes place, the brain. 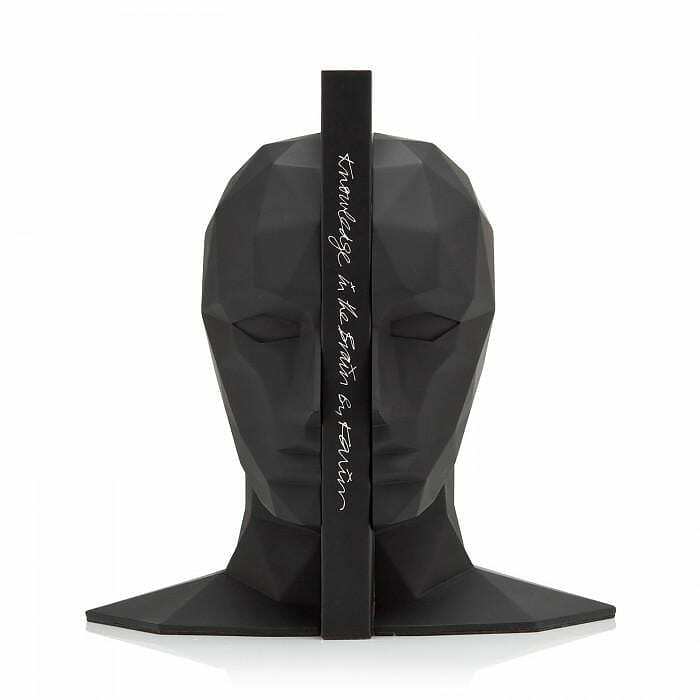 The message is clear, reading helps personal development and brain functions. 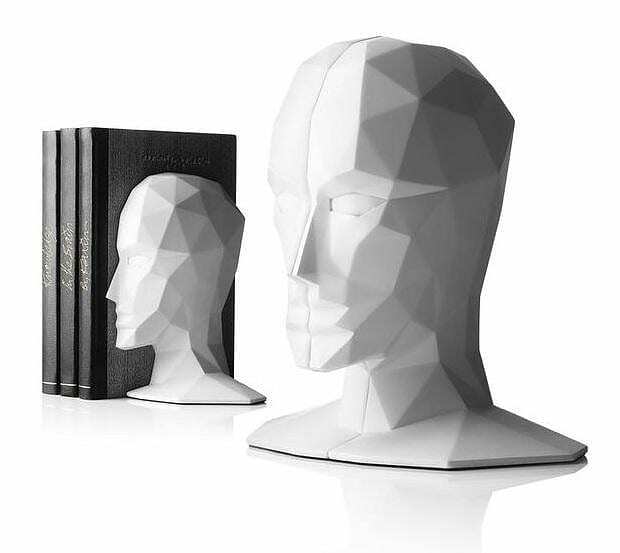 A successful symbolism for an object designed to hold your favorite “containers of knowledge” in their place. 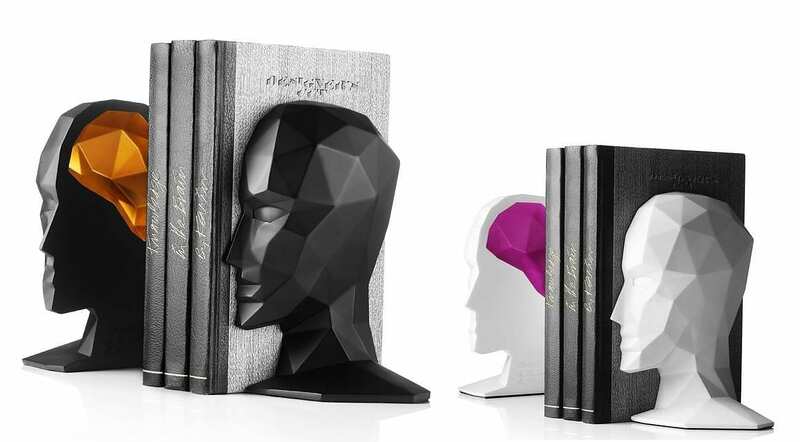 Knowledge in the Brain Bookends are produced by Danish firm menu A/S and are made of rubber-coated stone resin. This special resin has characteristics similar to those of natural stone, as it is heavy and particularly dense and solid. 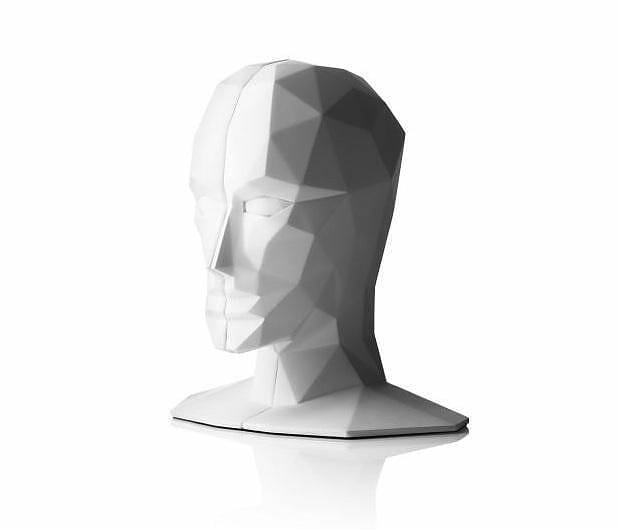 The stone-resin effigy is coated with a thin layer of rubber which gives this characteristic “deep” color and makes the object smooth, sfot and pleasant to touch. 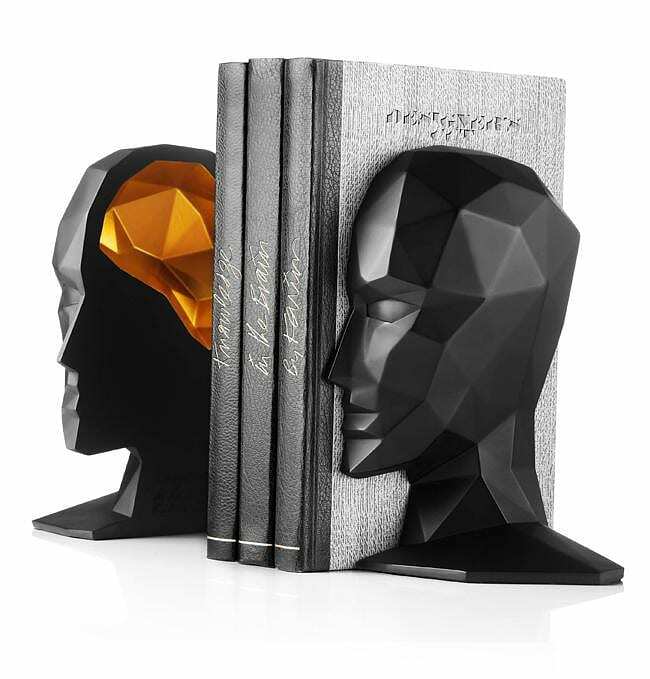 These impressive bookends are available in two equally striking color combinations: Black/Gold or White/Pink. 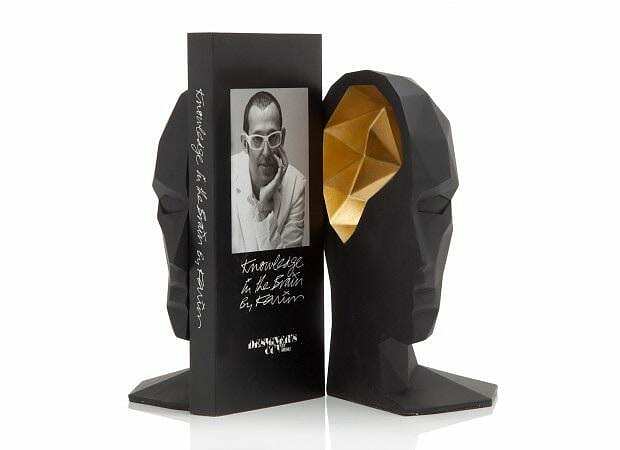 These bookends by Karim Rashid is a unique office & desk accessory as well as an impressive decorative item.